Dr. Ilmars Lidums was born and raised in Adelaide. 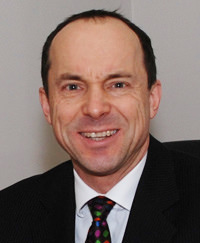 He studied medicine at the University of Adelaide and completed specialty training at the Flinders Medical Centre, obtaining his fellowship in Gastroenterology (FRACP) in 1994. He continued medical training at the Royal Adelaide Hospital, undergoing full-time research at The University of Adelaide in the field of gastro-oesophageal reflux disease, and was awarded a PhD in 2000 for his research thesis, "Pharmacological Control of The Lower Oesophageal Sphincter". In 1999 he was appointed Consultant Gastroenterologist at The Queen Elizabeth Hospital, South Australia and Senior Lecturer in the School of Medicine, University of Adelaide. He was instrumental in bringing video capsule endoscopy to South Australia and in 2003 was the first clinician in SA to perform this procedure. He continues to be actively involved in research and his work has been presented at international conferences and published in prestigious international journals. His main interests are in advanced endoscopy techniques, video capsule endoscopy and bowel cancer screening.